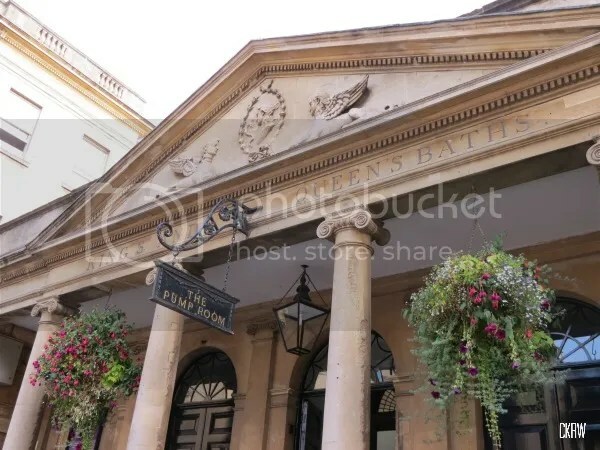 After the Roman baths, the next best thing in Bath is the 18th century Pump Room. It features in Austen novels, Gillray’s cartoons lampooning the Regency’s main figures, and countless travelogs. 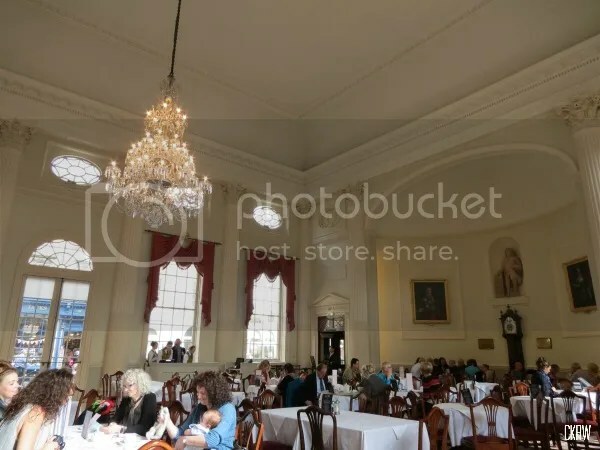 Largely unchanged since it was built, it was one of the main places for people to meet and greet, see and be seen in the 18th and 19th centuries. 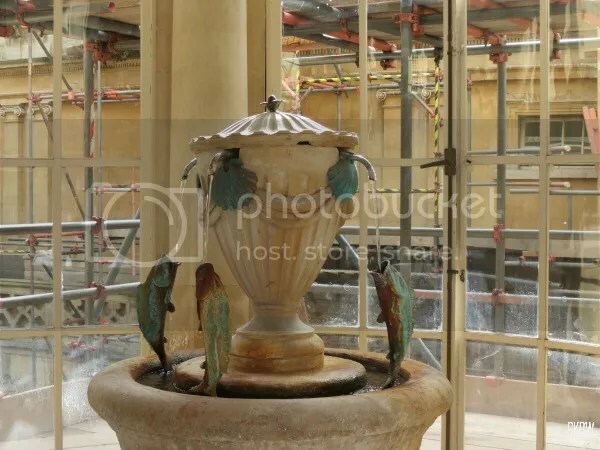 And without doubt, the focal point is the fountain where do this day you can pay 50p to “take the waters,” as those who came to Bath over the years did to improve their health. On this visit, I was happy to just take pictures. I’ve tasted the water, and I’m convinced it’s more kill than cure. The restaurant is lovely. I heartily recommend taking tea if you get the chance. And those three performers? Apparently they are called the Pump Room Trio, and as an institutional group, they are the longest established residential ensemble in Europe. 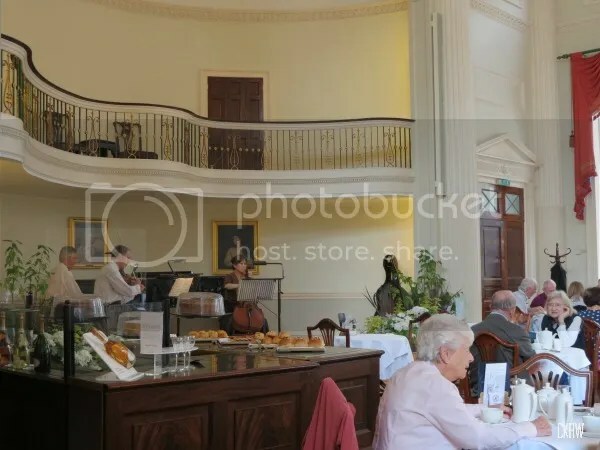 Knock back your tea (or mineral water, if you’re a masochist) and scones listening to beautiful classical music while feeling you most Austen-esque. I was going to visit Bath last year after a trip to a family party in Bristol, but unfortunately I became ill and had to go home early. It was disappointing as I love Jane Austen’s novels and wanted to explore Bath, as I have heard it is very beautiful. Oh dear, that is disappointing. But I do hope you get to go back because it’s well worth the visit.